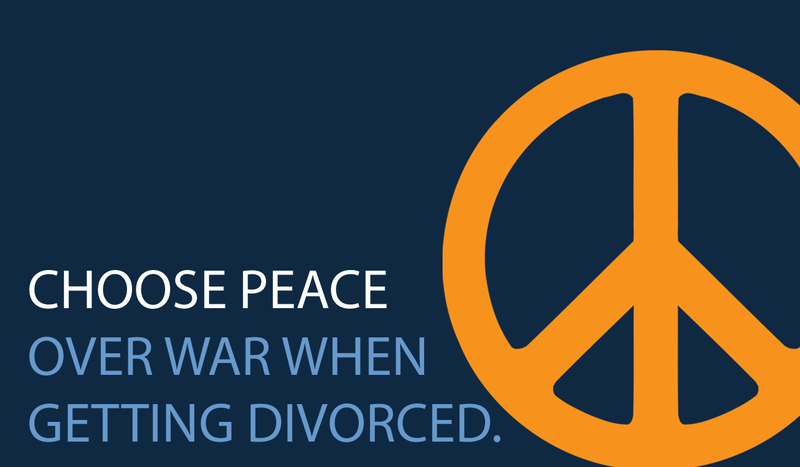 The experience of a peaceful divorce does not happen by chance or by accident. It is a choice that you make and the good news, even in divorce, is that you have a choice. 1. Choose a process, don't let the process choose you. While many people think litigation is the only option in divorce, there are many process options that can be tailored to your family's needs. Mediation, collaborative law, and outside-of-court attorney negotiation are all more flexible options than court. Learn about all the options before you choose one. It is a common mistake to jump to conclusions about what you want before you have all the information. Instead of saying "I want the house" or "I think this much support is the right amount," consider all the options before you make a decision. Many times your favorite option on day 1 is not the best option when all the information is gathered. Language can be hurtful, demeaning, and misunderstood or it can be uplifting, freeing and create peace. It's very easy to react when faced with the fears that are natural when splitting time with children or dividing finances. Don't be afraid to pause, call a "timeout" and gather your thoughts before responding. Does Settlement Counsel Help or Hurt Clients?